This beautiful gem of the byway could be easily passed or overlooked if travelers aren’t already aware of it. The Black Canyon Gorge is just one mile west of Grace and offers display of a basalt lava flow combined with the effects of nature over time. 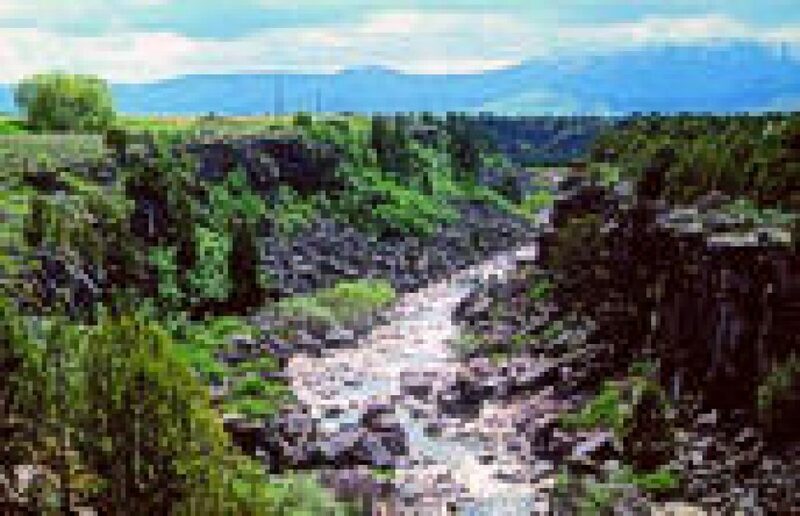 The Bear River formed the canyon as it cut through a series of lava flows. Travel to downtown Grace, Idaho and turn left (west) on Center Street. Travel 1.1 miles to the Bear River bridge.